COKeM is the most successful, influential and innovative distribution service company in the video game and accessory industries. 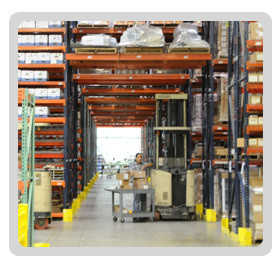 COKeM continues to expand its capabilities, providing full-service distribution, fulfillment and 3PL services for a wide array of industries and across many product categories. COKeM’s success is driven by aspiration to be the best with a continued focus on delivering results the right way. We operate responsibly, execute with excellence, and utilize innovative technologies to drive COKeM’s overall mission – to have fun while being the best. A team of overachievers, with a true, unifying quality — a solid work ethic — leads COKeM. They believe in solving problems, taking on every challenge and managing the company with an exceptional amount of pride. Copyright 2012. COKeM International. All Rights Reserved.